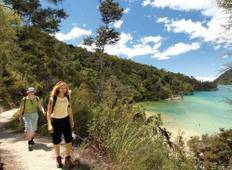 Find the right tour for you through Hanmer Springs. 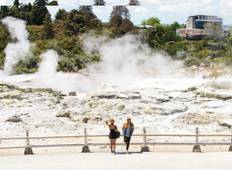 We've got 7 tours going to Hanmer Springs, starting from just 7 days in length, and the longest tour is 24 days. The most popular month to go is April, which has the most number of tour departures. "This trip was absolute incredible! My Tour guide Katie was perfect organized and..."
"My Trip through almost all of New Zealand was nothing like I expected. It was so..."
"Had a fantastic 23 days with Stray. Our driver was completely on the ball at all..."
"Just finished fabulous 15 day South Island NZ tour. We were the old couple on the..."
"The Hillary Tour was amazing! In three weeks you get to see such beautiful places..."
"Did the Kiwiana Panorama for NYE in Queenstown. Had an amazing time. Great group..."
"I was a bit concerned about my Dingle (2 0day) trip with Stray – it was my first..."
"Great locations and we enjoyed the activities. The people running the accommodation..."